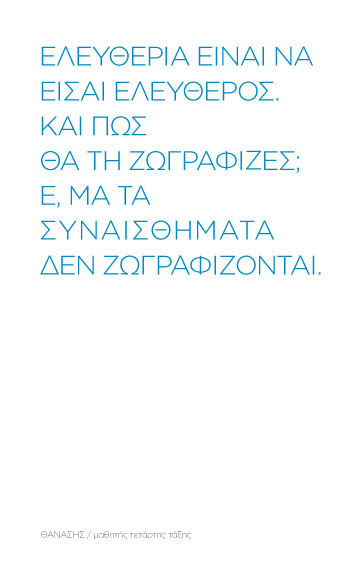 Yianis Tokalatsidis | A poster. Young Thanasis’s answers gave me the E of Eleutheria (freedom). My participation at the poster exhibition with theme “Eleutheria”.